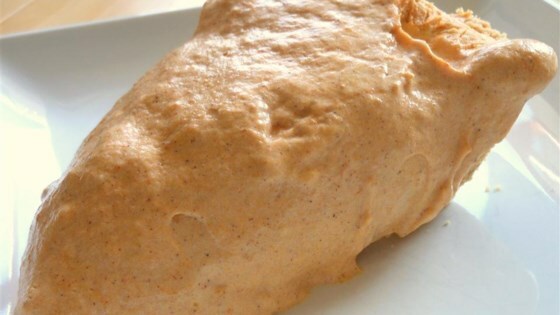 "Ice cream style pumpkin pie." In a medium bowl, combine pudding, pumpkin, milk, nutmeg, ginger, and cinnamon. Mix slowly for about 1 minute. Fold whipped topping into the mixture then spoon entire mixture into pie shell. Freeze until firm (about 4 hours). Let stand at room temperature for about 10 minutes before slicing. Sorry the recipe only requires 1 cup of milk. not the best, but not too bad also. needed something. ?